Hard times came to Polish football. The UEFA, that once again threatened Poland to take away the organization of Euro 2012, is fed up with the fights between the Minister of Sport and the Polish Soccer Association. 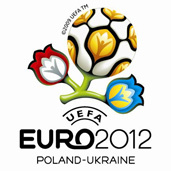 FIFA lost patience as well, warning about the possibility of excluding Poland from the World Championship eliminations. The UEFA communication director, William Gaillard says: ‘In the document certifying the organization of Euro 2012 in Poland and Ukraine there is a clause stating that both football federations have good relations with its governments. In case of Poland this term is no longer fulfilled’. The attack on Polish sport comes also from the other side. On Wednesday FIFA warned that if the curator don’t retire from the Polish Soccer Association till 12.00 PM the Polish representation will be excluded from the World Championship eliminations in 2010. FIFA and UEFA announced that the date of realizing their demands will not be extended. After the Arbitration Court’s ( by the Polish Olympic Committee) decision about calling up a curator in the Polish Soccer Association , FIFA and UEFA gave to Poland an ultimatum.